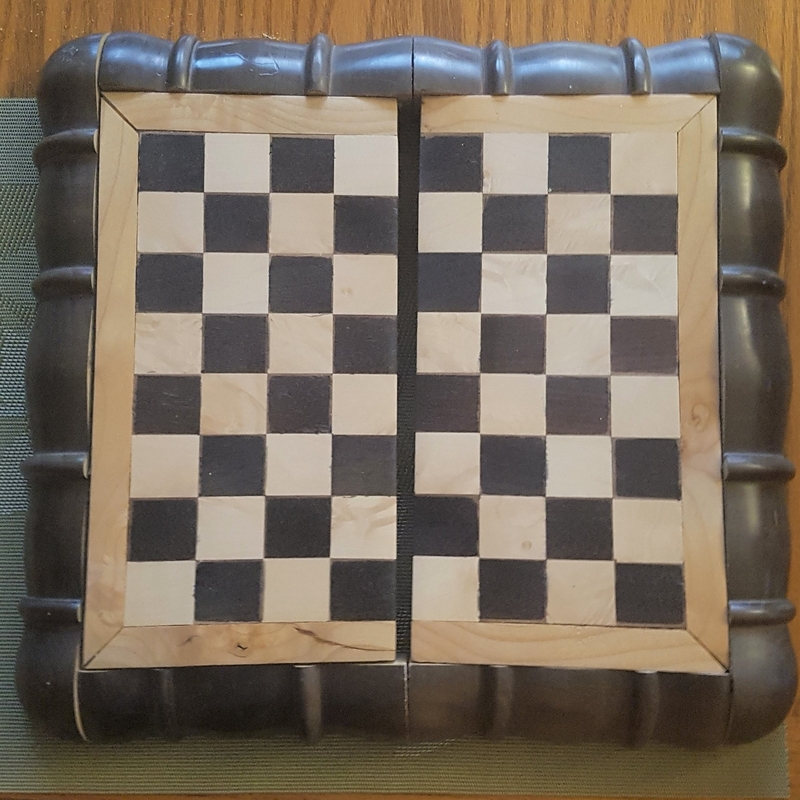 This year for my nieces birthdays I decided to make one of them a Go board and the other a Chess set. 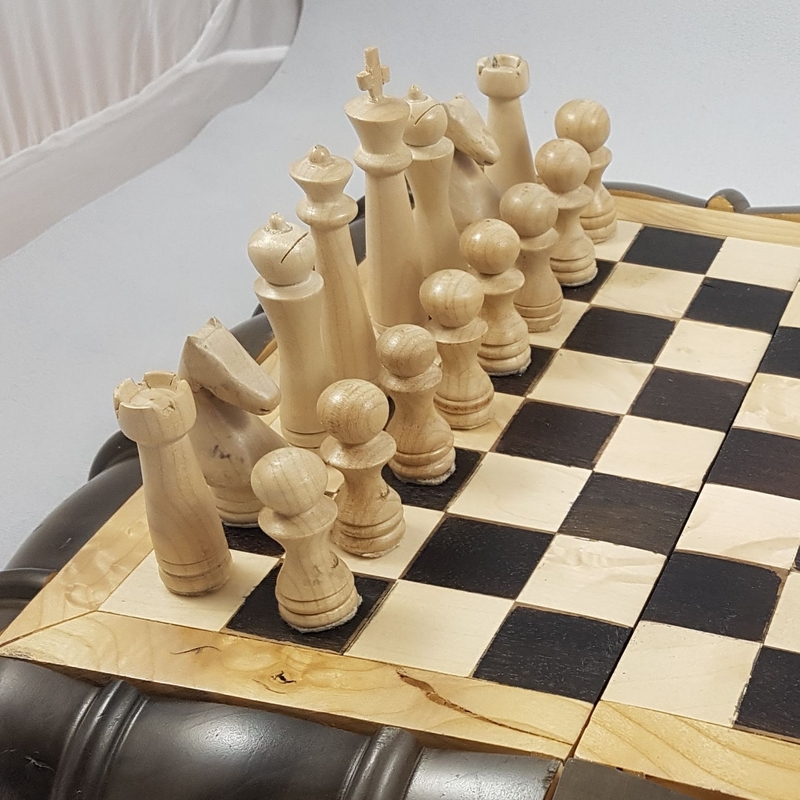 It all started when a friend of mine asked me if I could make a Go board. This was at about the same time that I was trying to come up with some ideas for birthday gifts. 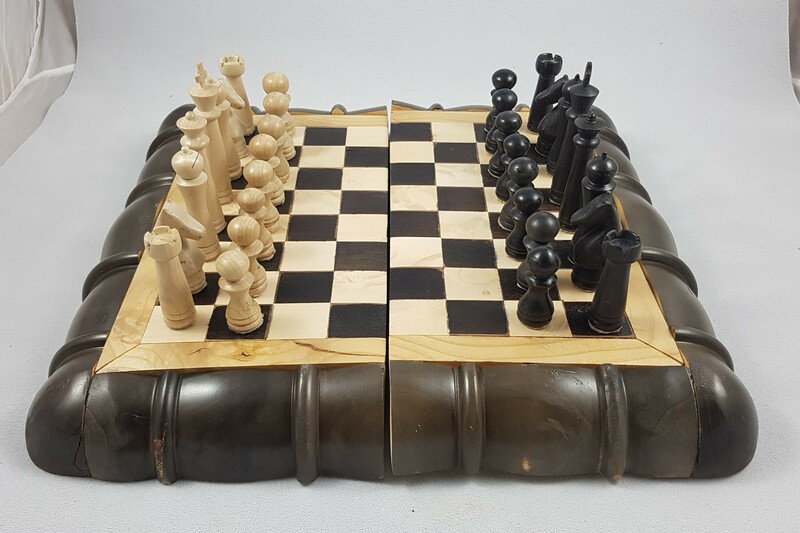 It sparked the idea of making one of the them a Go board and then a Chess set for the other. 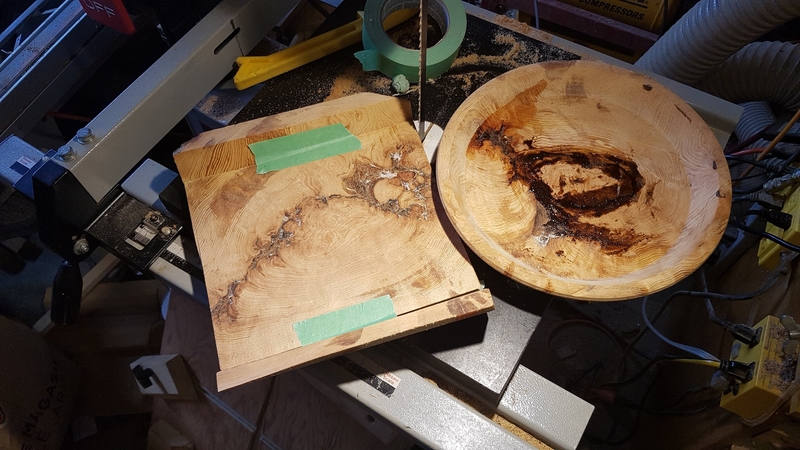 Being a turner I wanted to find some way to incorporate turning into the board. I came up with the idea of gluing the four pieces for the frame together and turning them to profile the outside. Then separating them to make the frame. 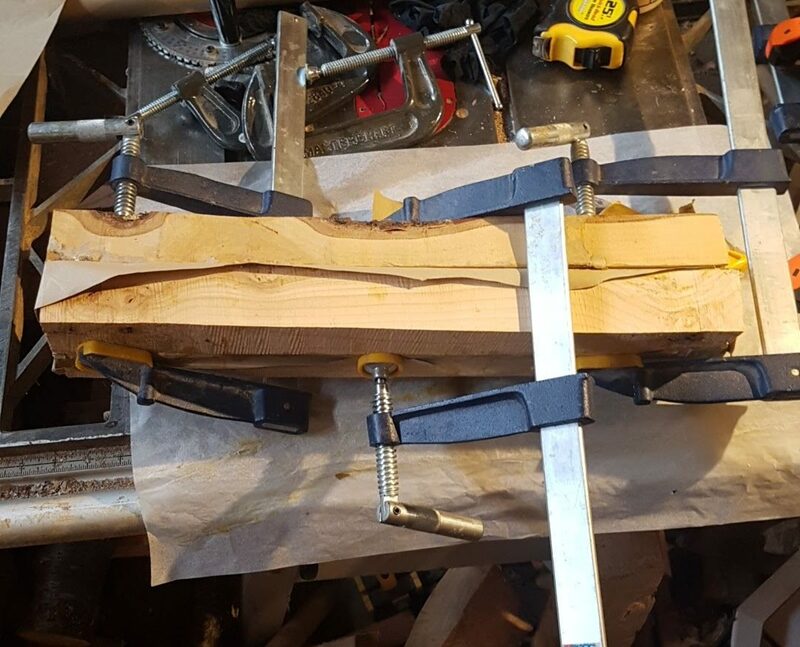 First I glued together the pieces of wood for the frame. Sandwiching kraft paper in-between the pieces so they could be easily separated later. 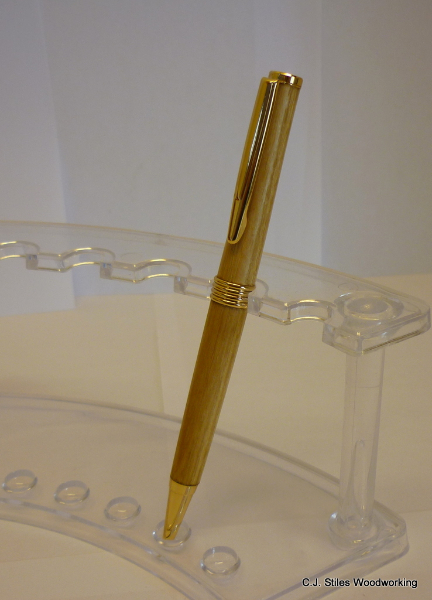 Then I put the pieces on the lathe and turned the profile I wanted for it. Turned frame pieces still on the lathe. Once it was done I was able to easily separate the pieces along the paper glue joints. 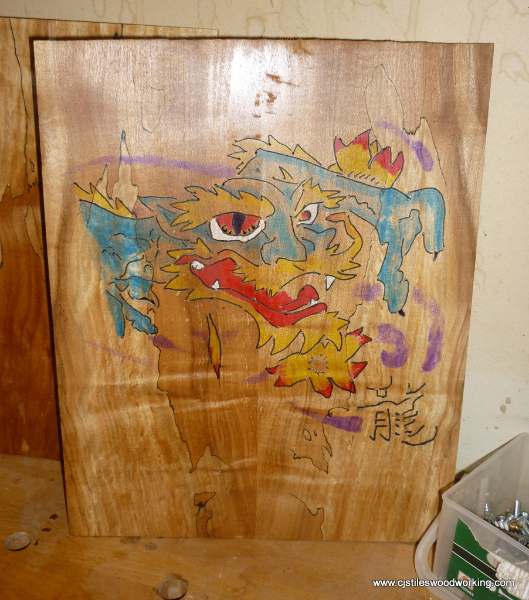 Then I used the profiled pieces to make a frame for the board. 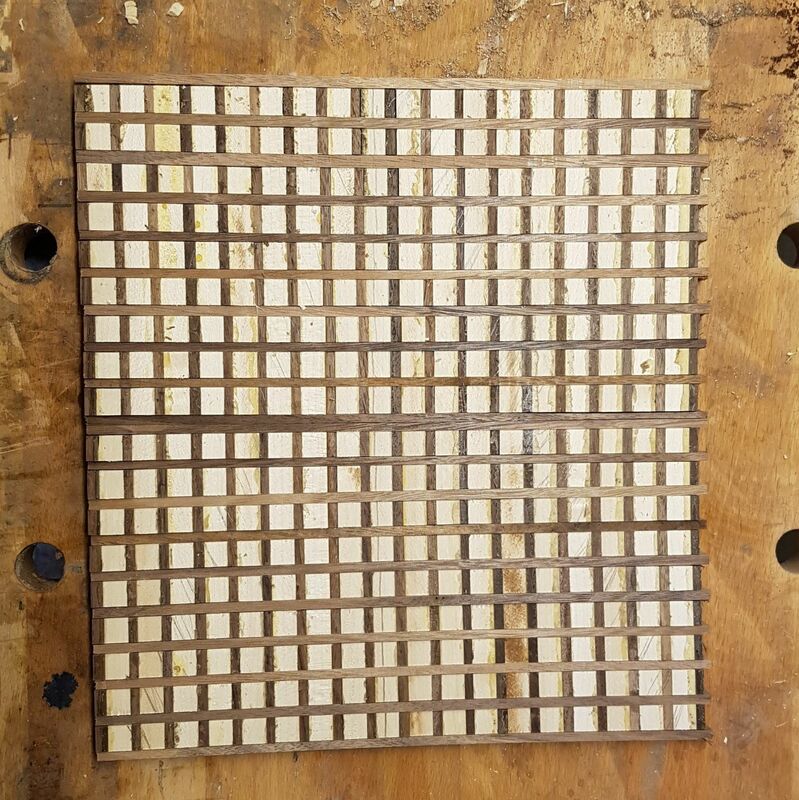 When I made the actual playing surface for the go board I did that by cutting and gluing strips of maple and walnut in the thicknesses needed for the game. Unfortunately this resulted in a fairly fragile board surface with number of end grain to side grain glue joints required. I solved this by gluing it onto a hardboard backer to reinforce everything. Once I had the basic pieces made there was a fair bit of work to fit and join everything together until the board was completed. 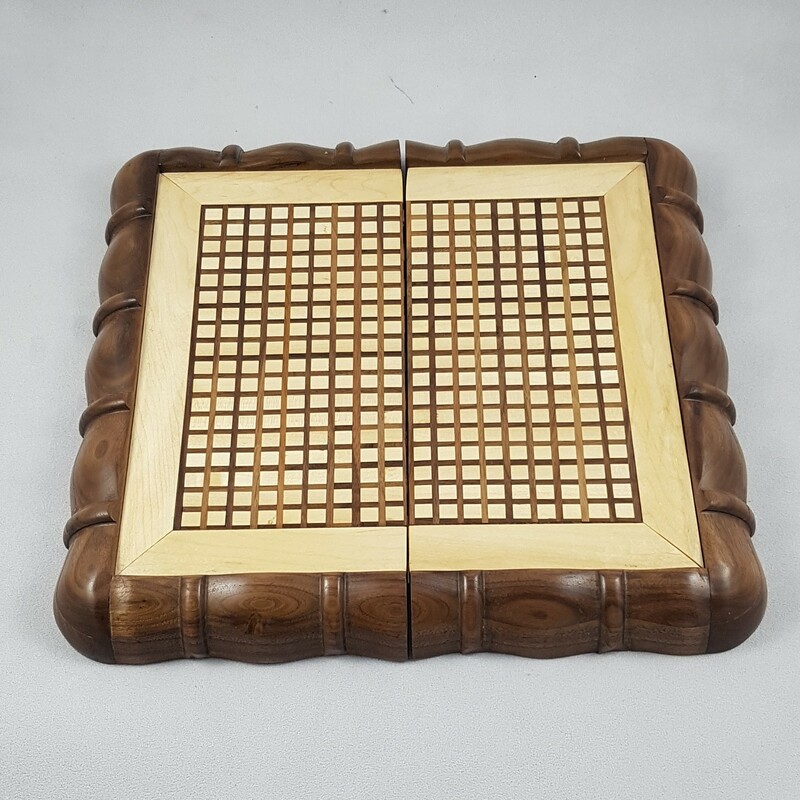 It folds in half with storage in the bottom for the playing pieces. 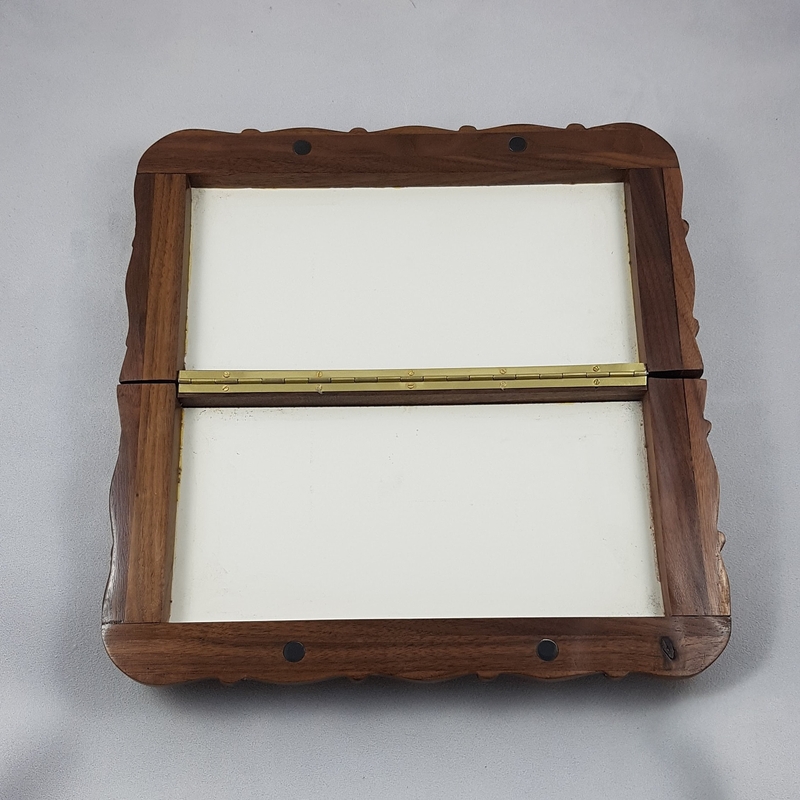 Keeping the turned pieces of the frame aligned so they match up when the board is closed turned out to be quite a challenge. 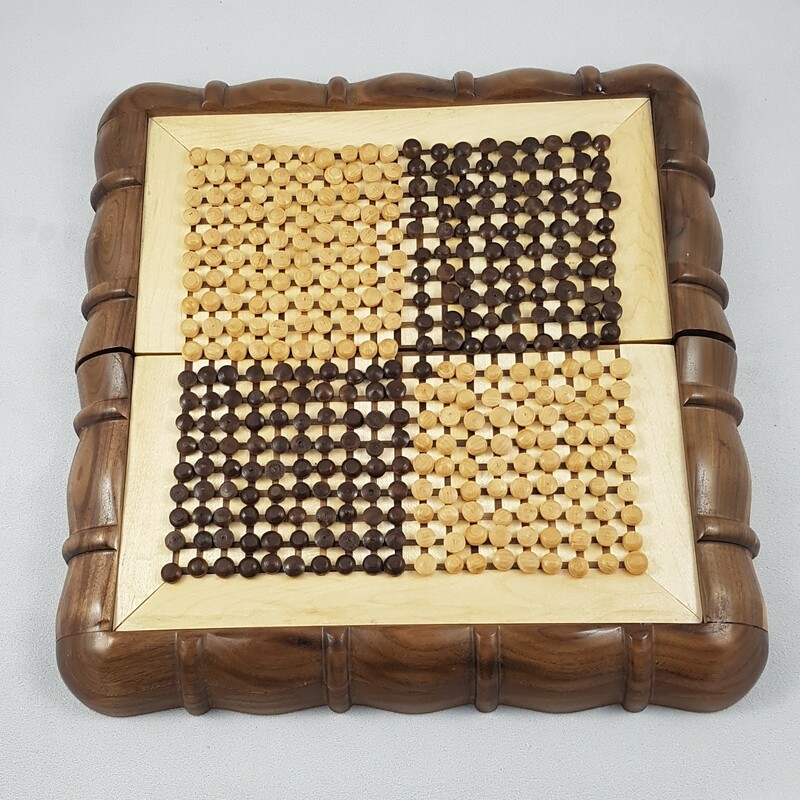 Once I had the board made I wanted to buy the playing pieces since there are quite a few needed. Unfortunately it seems that I made the board a bit smaller than a standard playing surface. I could not find anything that would work off the shelf. In the end I did wind up turning all of the playing pieces as well. 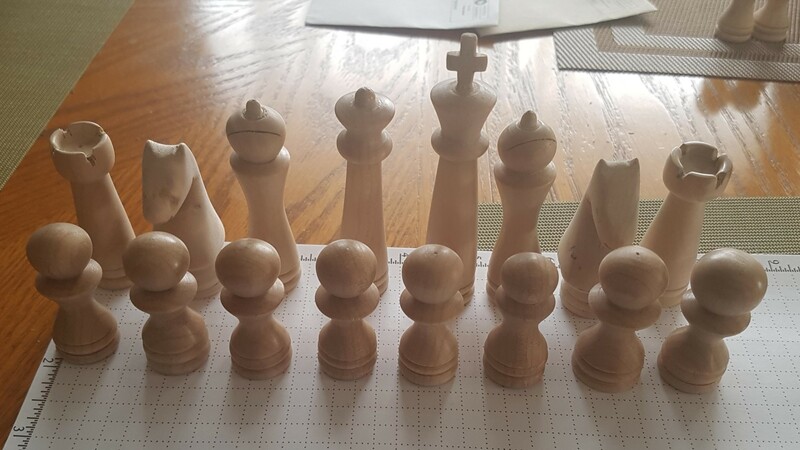 After making the Go board for one niece it was time to make a Chess set for the other niece. I started by drawing a few different template ideas for the chess pieces. Then I showed them to my wife and went with the ones that she liked the best. 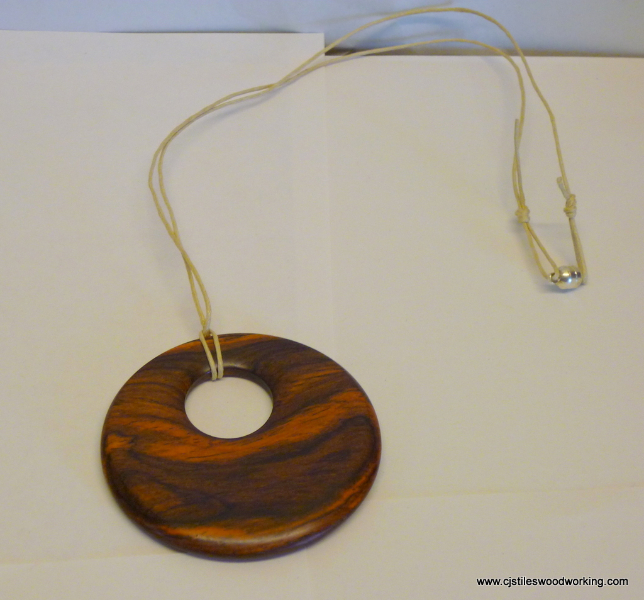 One thing I wanted this time was to get a darker colour on the walnut to make more of a contrast with the maple wood. 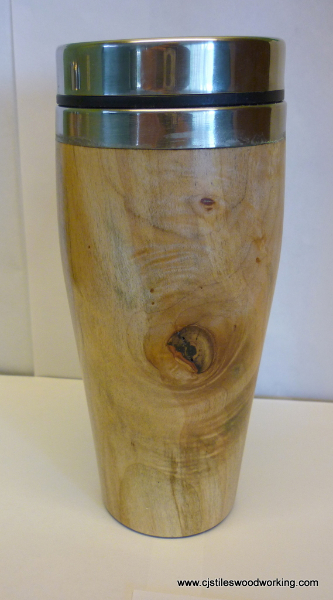 I decided to experiment with a mixture of steel wood dissolved in vinegar. The mixture reacts with the tannin in the wood and turns it dark. After some experimentation I found that it worked well. I had hoped to be able to wipe it over the whole board and have it react more strongly with the walnut than the maple. Unfortunately the maple reacted too strongly so that would not work. When I did apply it to the board I had to do some careful masking to get it on the walnut while avoiding the maple. 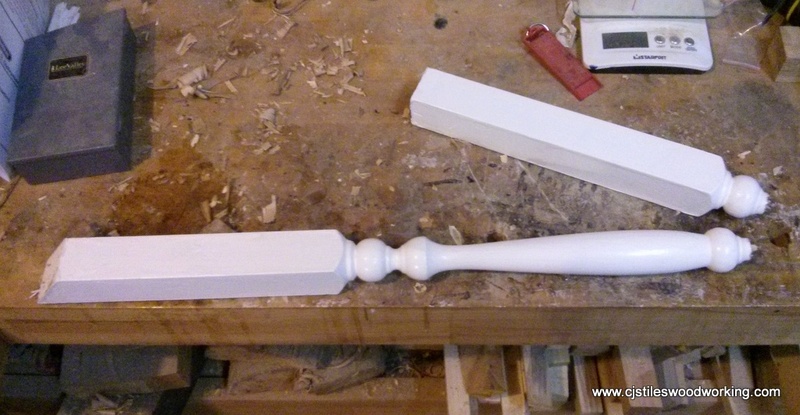 Turning the pieces was a bit tedious but mostly fairly standard spindle turning. I made all of the same kind of piece together. I used the templates to keep them all as similar as possible. 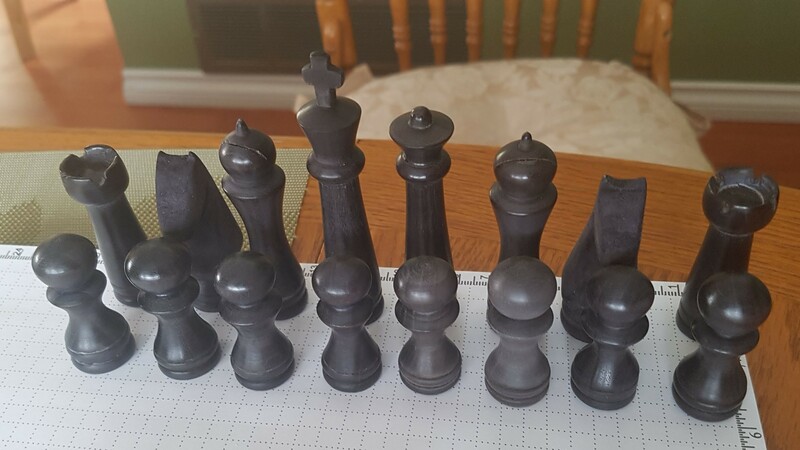 With the kings I turned the pieces first. Then I cut away the sides of the cross with a small handsaw before sanding on the lathe. The one piece that was more challenging was the knight. For those pieces I cut out the basic profile on the bandsaw. 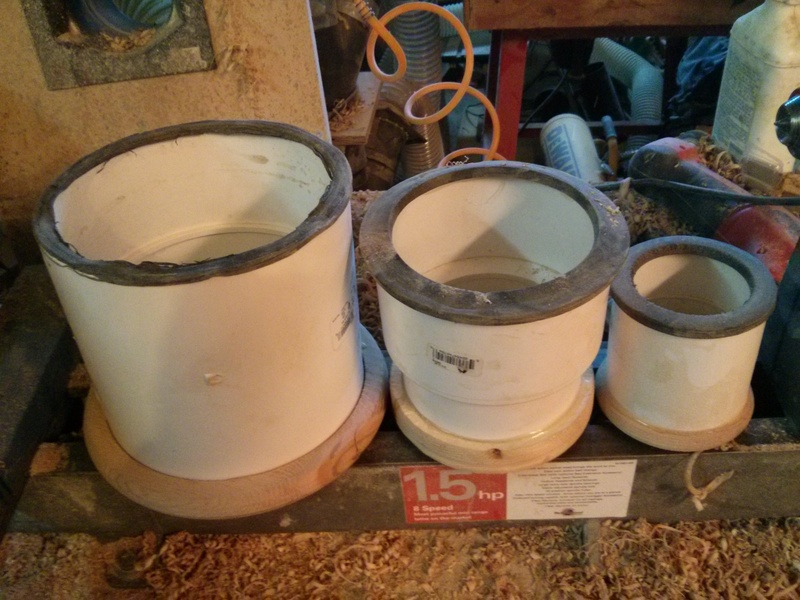 Then I took them to the lathe to turn the base. Doing it in that order gave a flat surface to support the pieces on while I was cutting the knight profile. After that I did a bit more shaping using a carving knife, rasp and sandpaper. They wound up being recognizable but a bit basic is shape. Given my level of carving expertise I am satisfied with that. 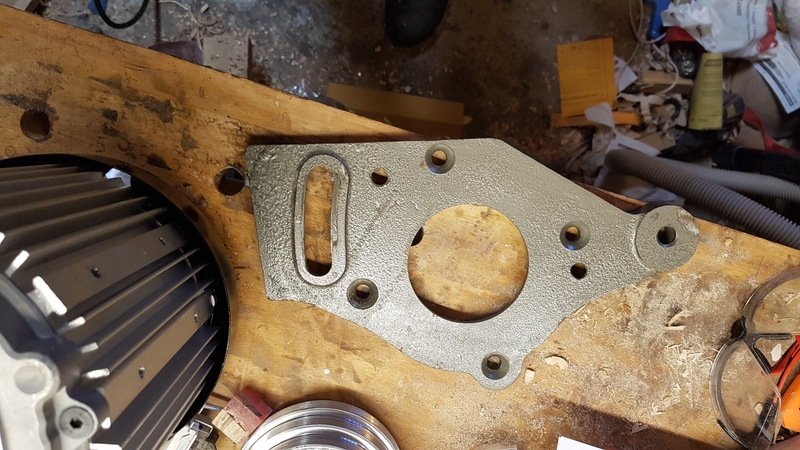 Once all of the pieces were made I drilled out the bottoms and glued in pieces of steel rod to give them a bit of weight. 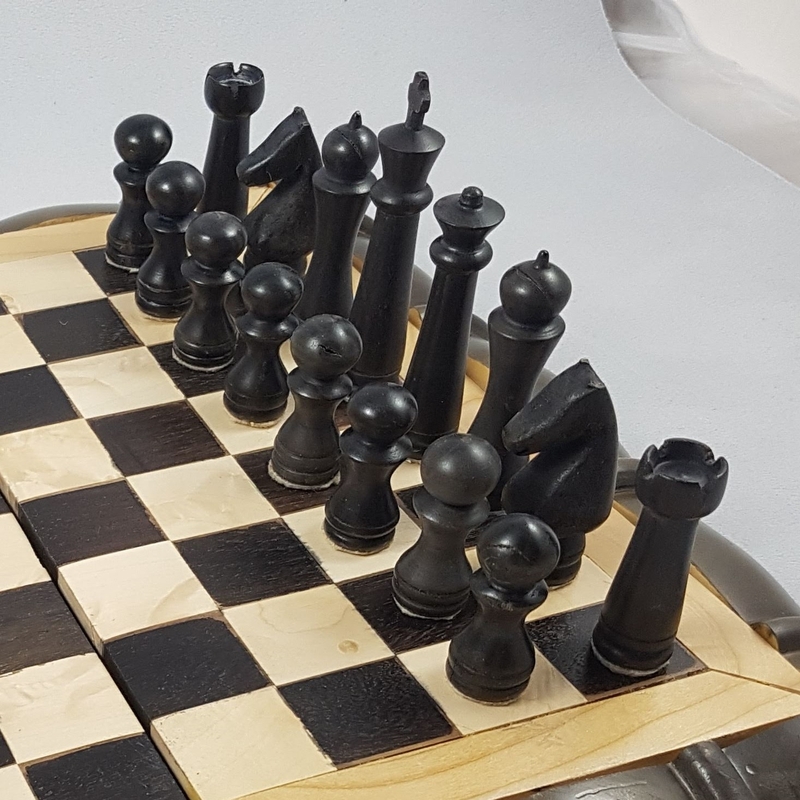 After that I made the chess board in much the same manner as I made the Go board. With my mothers birthday approaching I got a tip from my dad. He suggested that she would like a tray with sides. 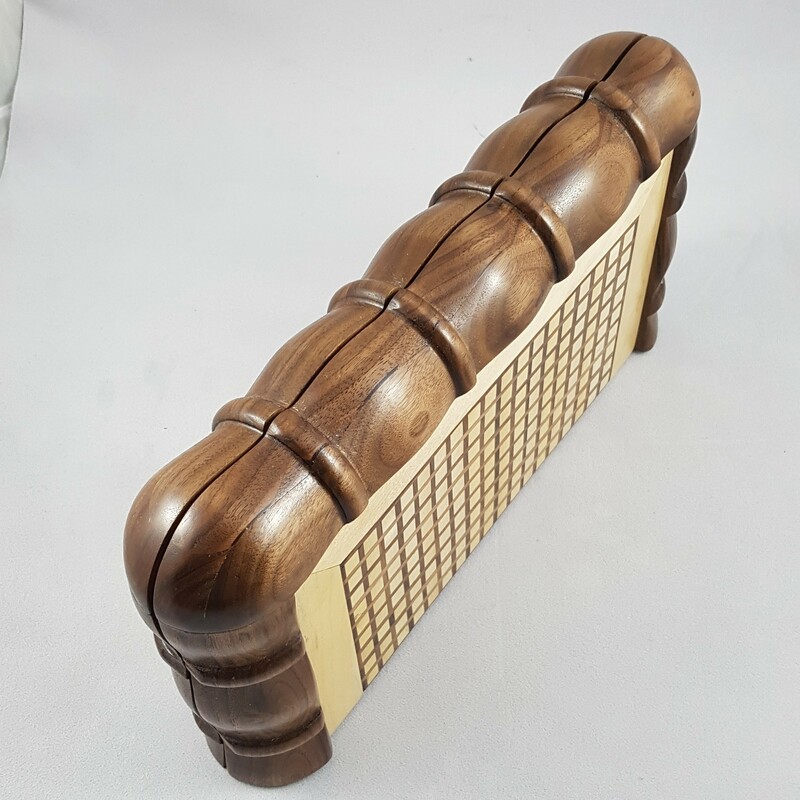 It should be about 12 inches by 15 inches and made with some interesting wood. That criteria left a number of ways to approach it. 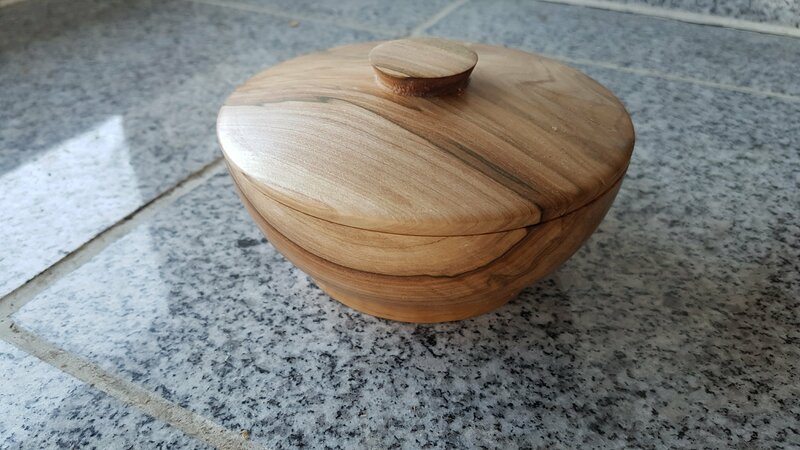 With just having gotten my lathe running after two months out of action though I was determined to incorporate some turning. I started by picking out a likely looking burl from a small stash that I have. I cut two slabs out it with a chainsaw. One slab I cut into a circle on the bandsaw and then turned a shallow flat bottomed tray. The other slab I cut on the bandsaw so that the sides matched the angle and widest diameter of the shallow tray. I then cut the sides off at about the thickness of the tray sides. The middle portion I re-sawed on the bandsaw to match the thickness of the turned tray and glued the sides back on. I then cut the turned tray in half and glued the bandsawed portion in-between the two halves. Since I was gluing end grain to end grain I used dowels and epoxy glue to give it some extra strength. 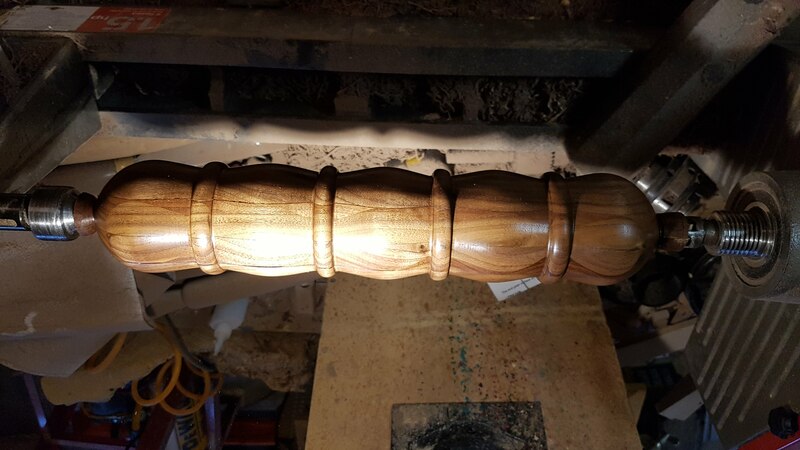 After that it was a matter of using various hand tools to fine tune the shape of the bandsawed section and blend it with the turned sections on the ends. 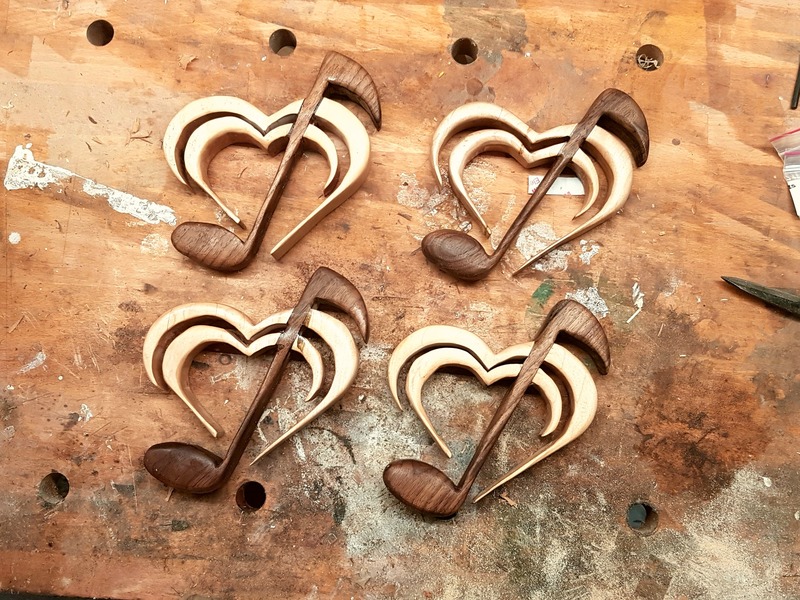 One thing that turned out to be a challenge was the nature of the wood. It was fairly weathered before I started working on it. I chose the burl based on the size, shape and that it felt fairly dense. It turned out to also be very resinous and had a strong pungent odour. I had to do most of the sanding outside while wearing a dust mask and the paper clogged very quickly. Eventually I was got it finished though and a couple of coats of shellac did a good job of sealing in the resin and smell. A few coats of wipe on poly over that should make for a durable finish. 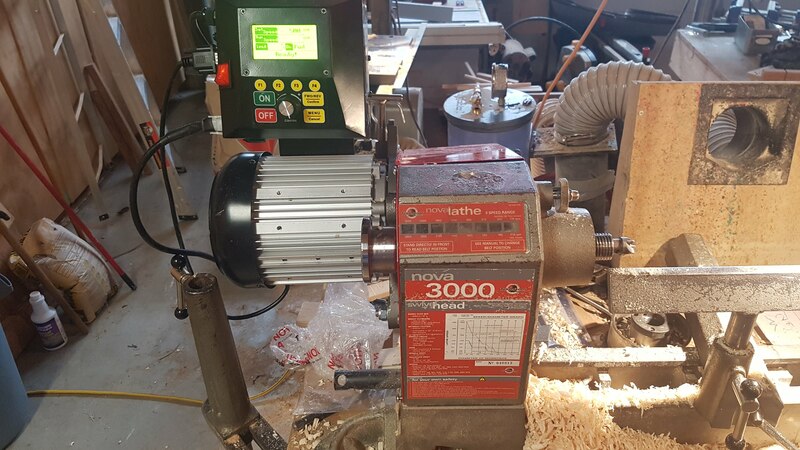 Recently I was forced into making a lathe upgrade to my trusty Nova 3000 lathe. This is a lathe that has served me well. I bought it second-hand for the grand total of $500 about eight years ago. Since then I have turned countless items on it. 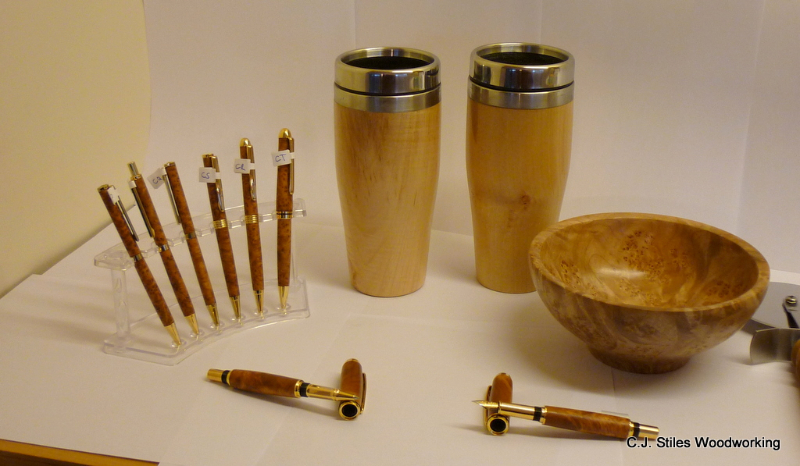 Everything from pens to goblets to large bowls. Actually pushing the limits on large bowls is probably what got me into trouble. The problem arose while I was working on a small bowl. Suddenly the bowl stopped spinning even though the motor was still running. At first I thought it was a broken belt. As I checked things out though I realized that the shaft on the motor was broken. What I was working at the time certainly did not cause that. I believe it must have been wear and tear that built up over time. Checking around it became apparent that the motor was beyond repair. I would have to get a new motor in order to get the lathe working again. Looking into motors I realized that just replacing it with a similar motor was going to be expensive and complicated by the 3/4″ shaft size on the original which seems to be fairly uncommon. 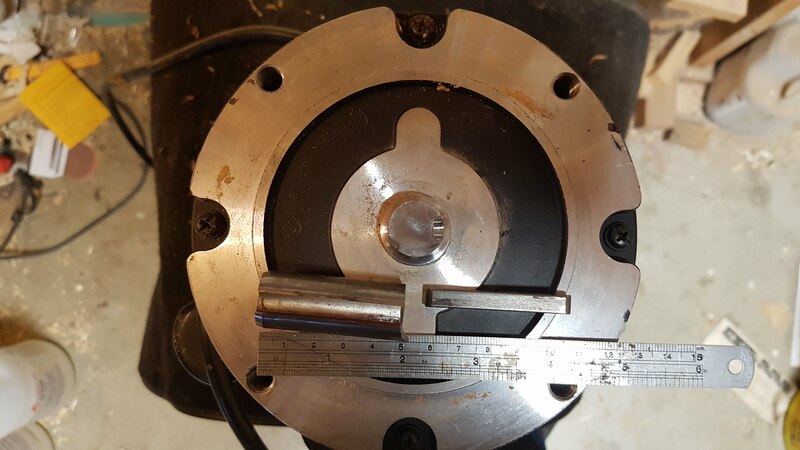 An intriguing option turned out to be a motor that Teknatool sells as an upgrade to the Nova 1624 lathe. The Nova 1624 is what they replaced the Nova 3000 with several years ago and it is a very similar lathe. This motor has their DVR technology that includes electronic variable speed, reverse and a few more options. 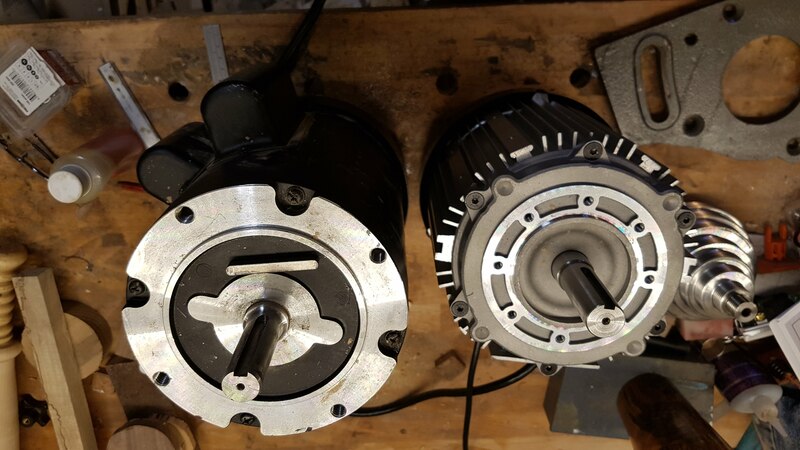 A call to customer service gave me the information that the upgrade motor could be made to work with my Nova 3000 lathe. Shipping from the USA and the exchange rate with the US dollar however convinced me to try and source it locally. As it turned out our local dealer was back-ordered but I was able to order it on Amazon with free shipping included. Once the motor arrived a few more complications became apparent. One problem was that the flange for mounting the motor has a different bolt pattern than the new motor. 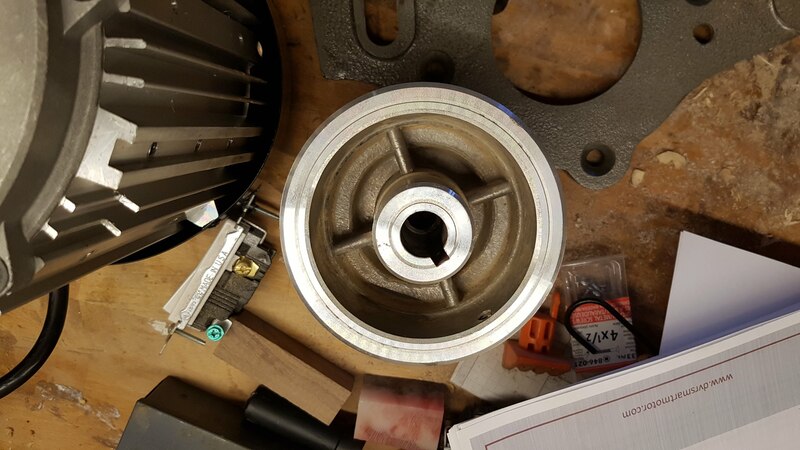 There were indentations on the motor that matched the pattern on the flange so I solved the problem by drilling and tapping threads to mount the flange and it worked well enough. The next problem was that the shaft on the new motor is 7/8″ in diameter compared to 3/4″ on the Nova 3000 so my old pulley did not fit. I tried boring out the mounting hole on the pulley but wound up making a mess of it and ruining the pulley. Eventually I had to contact Teknatool customer service again. They recommended replacing the pulley, key (for the shaft) and flange with the ones from the 1624 lathe. Since I had already mounted the motor on my old flange we decided that I only needed the pulley and and key. 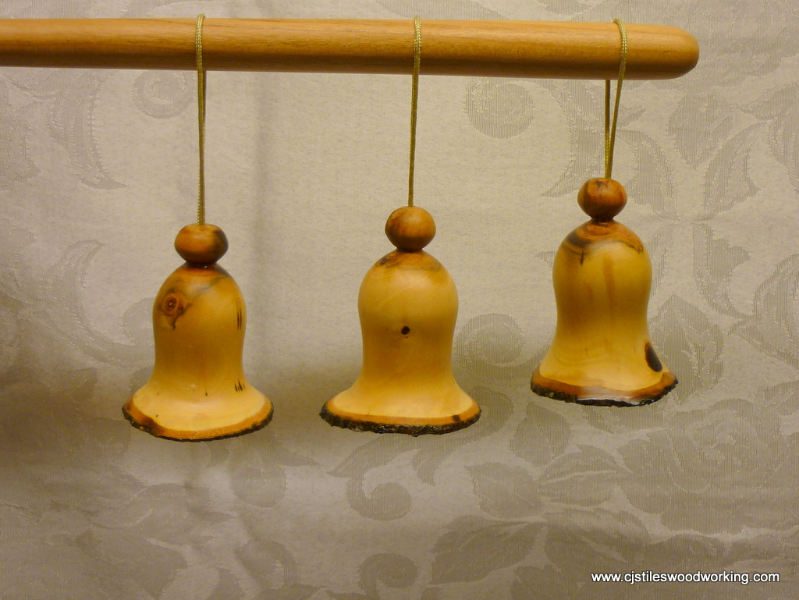 When those arrived I attempted to mount the pulley myself but it was quite a tight fit. I got stuck with the pulley only halfway on the motor. A visit to a local machine solved that problem. They were able to put it on a hydraulic press to get it the rest of the way on. After that it was a pretty simple matter of just putting things back the same way I took them off. 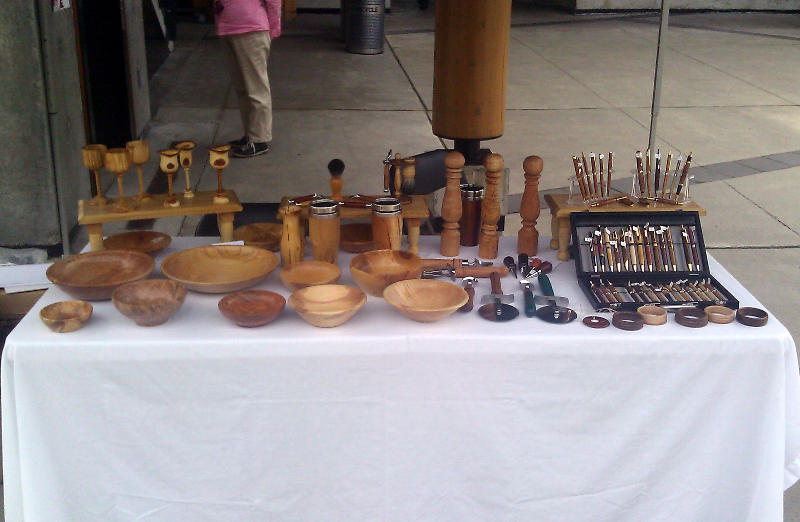 Success – the lathe is working! I have been playing with it for few days now and I am pretty happy with how it works. Being able to change the speed with a twist of the knob instead of having to change the belt position every time is a huge improvement. 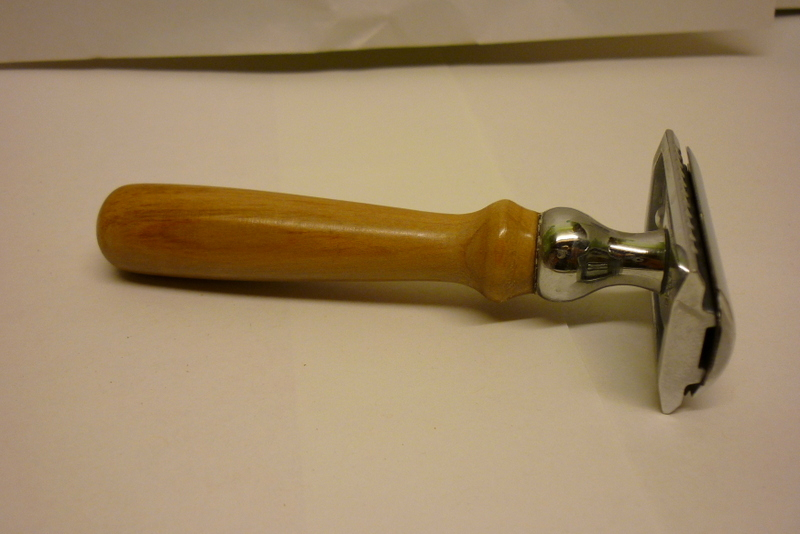 It also has reverse which seems to be handy while sanding pieces on the lathe. I should probably get some grub screws for my chucks to help secure them when running in reverse. There are also a number of preset buttons that allow for quickly setting a particular speed. One little irritation is that I use an auto switch for my dust collector. It turns on the collector when it senses current from one of the tools being switched on. Unfortunately the control panel on the lathe draws enough power, even when the lathe is not actually running, to activate the dust collector. Switching it off and on manually is something I’ll have to get used to. Overall though I’m pretty happy with it. I expect that a larger and heavier lathe is in my future at some point but with this working there is no need to rush. 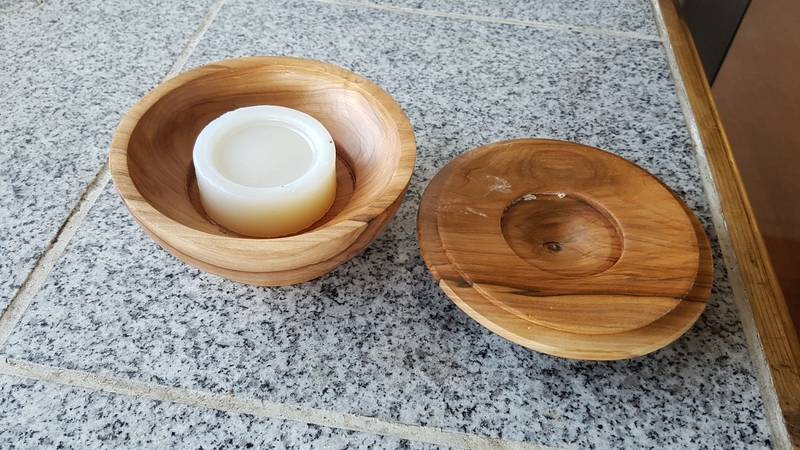 Late in 2016 Mark from Canuck soaps approached me about making some shaving bowls. I had been asked about them before but this was the final push that made finally consider the idea seriously. 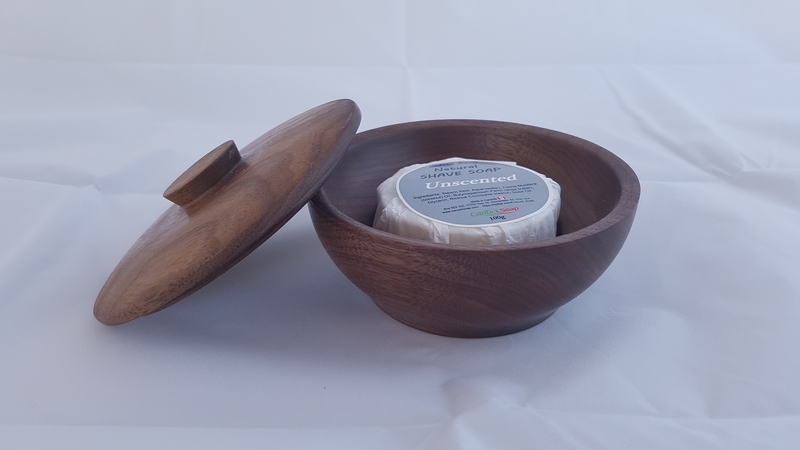 Over the course of a few days we kicked around some ideas and finally came up with a design that included a lidded bowl with a well in the bottom for a puck of soap and enough extra space to swirl a brush around and work up a lather. 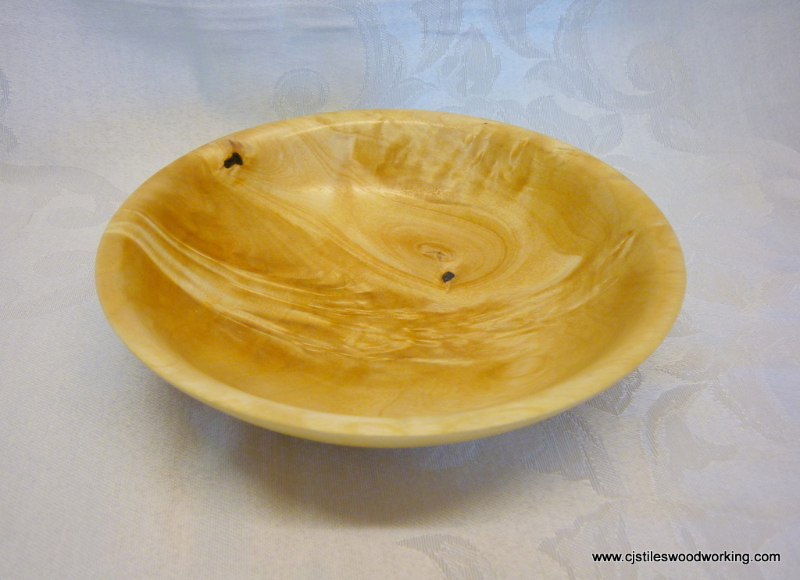 In the new year I began working on the idea and made a prototype shaving bowl out of Mountain ash wood. I have been using this bowl for almost a year now and so far it is holding up well. I was originally concerned with how it would hold up to moisture. In practice it does not seem to be a problem. 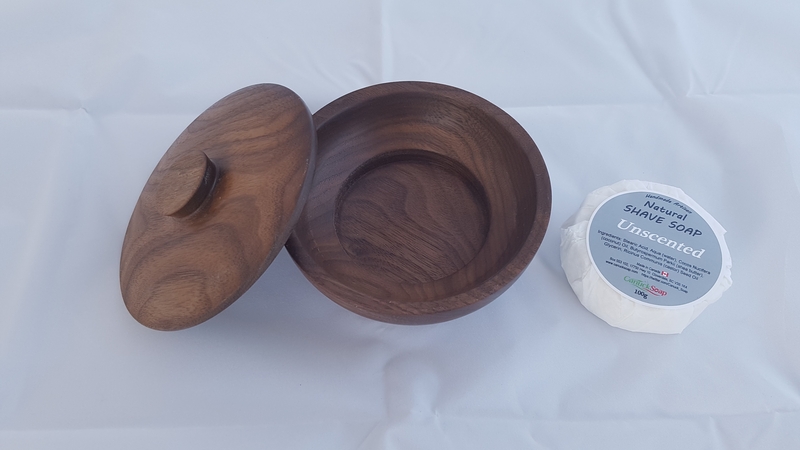 It turns out that that there is not really a lot of water that actually gets into the bowl since it is only enough to whip up a bit of lather. So far it seems to dry out well enough between uses to not cause problems. I showed the prototype to Mark and he liked it well enough that I decided to go ahead and make a small run to pin down what the price would need to be. I felt comfortable enough that if the price was too high for him then I could still sell them myself. 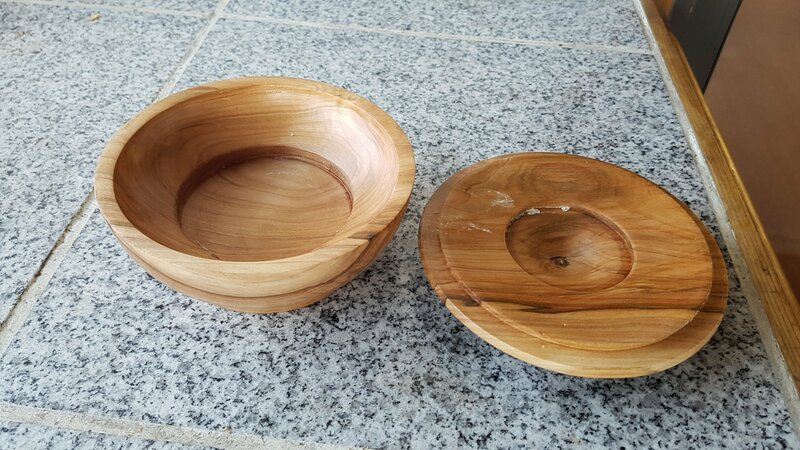 After all I am selling a bowl that happens to some with soap where he is selling soap that happens to come in a bowl. 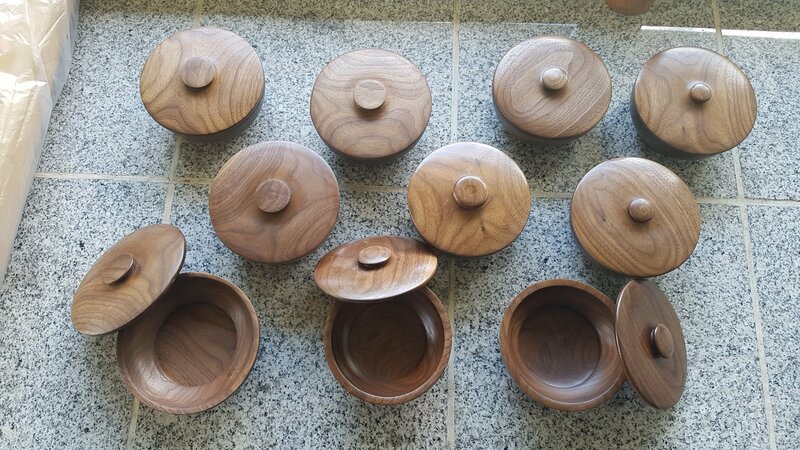 Since he wanted a darker wood I purchased some walnut to make these bowls. 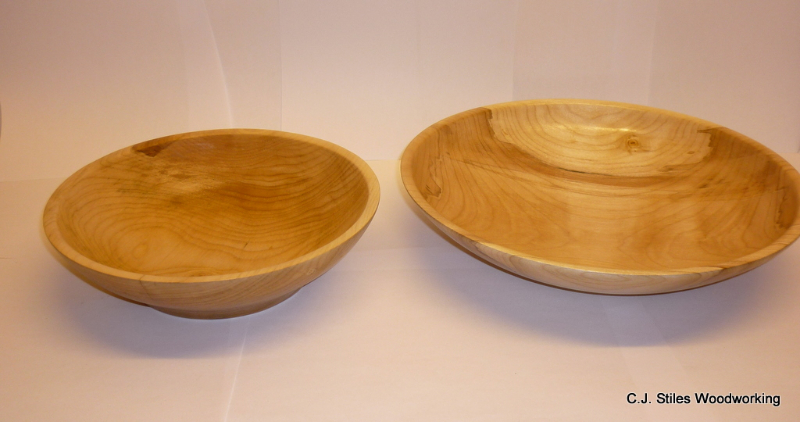 After making a run of ten shaving bowls I came up with a price that was more than he felt he could sell them at. Since that was the case he sold me some shaving soap at wholesale prices to go with them. I tried one myself and it has turned out to be quite nice. 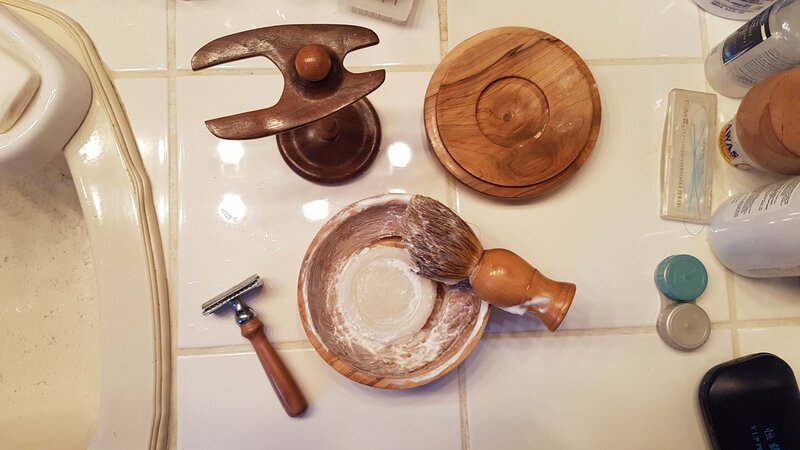 It is unscented, lathers well and has so far lasted over six months of shaving every other day. I should note that he has a variety of scents available but unscented was my preference. 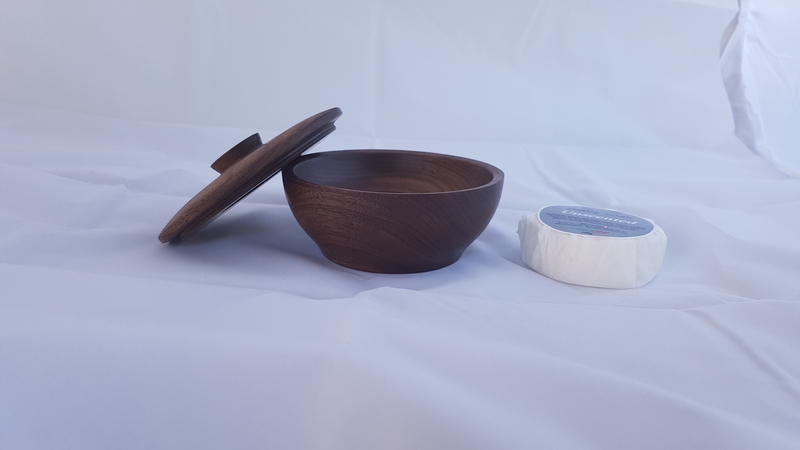 What wood would you like if I do a new run of shaving bowls?